What if you were given the opportunity and responsibility to make a difference? It is time to embrace your Infinite Possibilities. 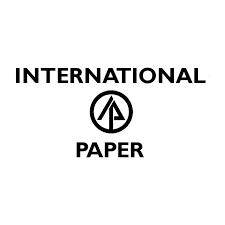 This is your opportunity to be part of International Paper, a Fortune 500 company and global leader in paper and packaging products. IP is known for our commitment to the environment and to cutting-edge technology. We have spent more than 100 years creating new ideas, and we are looking for people who can collaborate to help us build on our history, while creating future success. We are committed to attracting, preparing, promoting and supporting our teams. At International Paper, you control your destiny. We offer benefits, challenges, global opportunities and total rewards. When we say Infinite Possibilities, we mean it. This position is located at the Columbus, MS Global Cellulose Fibers mill. As one of the largest softwood pulp producers in the world, this location produces bleached softwood pulp for use in paper and specialty products such as absorbent personal care products, pharmaceuticals and photographic-based papers. The successful candidate will promote continued environmental performance and compliance. The position reports to the Environmental Manager. Promote an atmosphere of safety excellence through leading by example and intervening when necessary to correct behaviors. Interfacing directly with state regulatory agencies and community members to represent the mill within the community and region. Participates in environmental compliance audits and assists the sites in closing the open action items. Prepare, review and update various environmental reports. Interacting with and providing regulatory guidance to mill operations, maintenance, and management personnel on a day-to-day basis. Managing day-to-day air activities and provide supervision to hourly team members. Participating as a member of EHS department; maintaining strong relationships with other business unit personnel as well as operating and maintenance department leaders. Coordinating and communicating with operating departments regarding regulatory concerns/support, including periodic training for salaried and hourly teams on environmental compliance as needed. Working with mill engineering and operations to evaluate capital projects for potential permitting needs. Responsible for serving on a weekend duty rotation. Providing environmental outage coordination, both for routine and annual outages. Coordinating annual regulatory air compliance stack testing activities. Filling in for Environmental Manager when needed. Acting as owner’s representative for contractors providing services within EHS department. Providing visible and active leadership in delivering excellent safety results. Completing safety audits to ensure internal and external resources are complying with safe work practices. Reporting and communicating safety and performance measurements against objectives. Leading and delivering results through Global Manufacturing System (GMS) based systems; assuring compliance with GMS expectations. Participating and leading in the development of Environmental Management System procedures for water, waste, and air management. Actively using and improving upon existing systems for managing daily activities, including development of standard operating procedures (SOP). Initiating and facilitating problem solving through trouble-cause-correction processes (TCC). Understanding and promoting Manufacturing Excellence (ME) tools and processes; participating and leading ME improvement initiatives in the department. Supporting 5S program for the area and drive improvement projects, audit systems, and excellent results. Facilitating the implementation of new procedures and controls required by the change in facilities, products, and corporate policies and procedures. Bachelor’s degree in engineering, environmental sciences or equivalent work experience in a manufacturing environment. Minimum of five (5) years experience in a manufacturing environment. Environmental area experience or knowledge is preferred. Knowledge and experience with practical application of environmental regulations desired. Plant Applications and PI ProcessBook experience preferred. Strong computer skills including proficiency with all Microsoft Office applications, SAP business systems, and other databases. Experience in the pulp and paper industry is preferred. Proven commitment to safety and safety processes. High level of initiative and motivation. Strong communication skills (oral & written). Able to excel with minimum supervision and work independently. Desire and ability to work as a team player. International Paper is an Equal Opportunity Employer - Minorities/Females/Individuals with Disabilities/Veterans.